Exquisite organic shapes rule the Lunaria collection from Marco Bicego. Multiple sized links of 18kt yellow gold float an oval station that is textured with the Bulino technique, which gives the gold a soft, silky sheen. A lobster clasp, which is also textured, keeps this piece in place comfortably on your wrist. 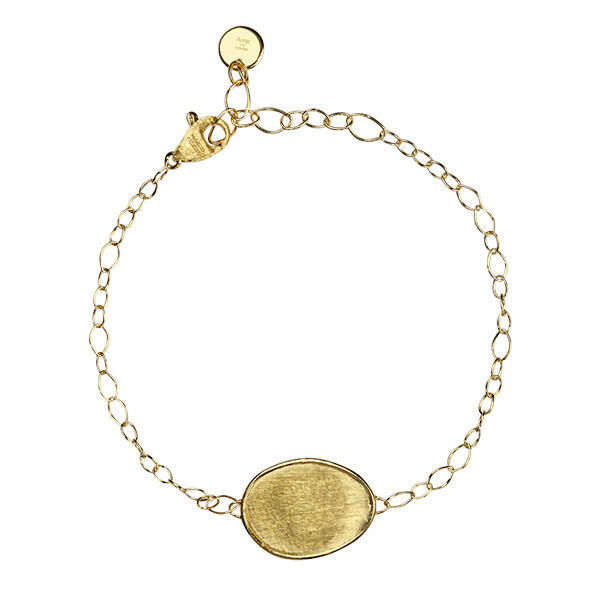 The casual elegance of this Marco Bicego bracelet will have you reaching for it time and time again.